On November 26, 1999, the Shudokan Martial Arts Association lost its President and founder. Walter Todd Sensei, eighth dan, has passed on. He was 72 years old, and his wife Eve and two children s urvive him. The picture to the right is when he received his Nidan certificate from the Kodakan dojo in Japan. Walter Todd's martial arts career spanned over 50 years, and he although he generally avoided the limelight, he was featured in numerous martial arts magazines. Walter E. Todd Sensei began training in budo, the traditional martial arts of Japan, in 1945, while stationed in Tokyo with the American military. He married a Japanese woman, and lived in Japan off-and-on throughout the 1940s, 50s, and 60s. Todd Sensei studied under many illustrious teachers including Mifune Kyuzo Sensei, judan (tenth-degree black belt), and Abe Ichiro Sensei, eighth dan, at the Kodokan Judo Institute. Mifune Sensei, a legendary figure, was the last living holder of the tenth dan awarded by Kano Jigoro Sensei, the founder of judo. He accepted Walter Todd as his personal student. In 1948, Todd Sensei became the first foreign student of Otsuka Hironori Sensei, founder of Wado Ryu karate-do and tenth dan. Later, in 1954, Todd Sensei trained under Obata Isao Sensei and other Japanese experts in Shotokan karate-do. Obata Sensei was a direct student of Funakoshi Gichin Sensei, founder of Shotokan karate and the person responsible for bringing karate to Japan from Okinawa. Funakoshi Sensei is commonly regarded as the "Father of Japanese Karate," and Funakoshi Sensei approved Todd Sensei's black belt certificate, making him the first foreigner in history to obtain a dan rank in Shotokan karate-do. After returning to the USA, Todd Sensei trained in karate-do under Takahashi Yoko Sensei, a direct disciple of the legendary Toyama Kanken Sensei. Toyama Sensei, the founder of his own celebrated system of karate, eventually appointed Walter Todd as Shibu-cho (Branch Director) for the U.S., giving him complete authority to rank students in Toyama-style karate and direct the development of karate in America. After Toyama Sensei's death, his son approved Todd Sensei's rank of eighth dan. In addition to being a Senior Advisor to the Kokusai Budoin's USA branch, Todd Sensei was the founder of the Shudokan Martial Arts Association (SMAA). The public should realize that the SMAA is an association consisting of multiple martial arts divisions, and as the result Todd Sensei left no specific person as a successor. The SMAA will continue to be lead by the Board of Directors and Board of Advisors, who were in place before Todd Sensei's passing, and in accord with Mr. Todd's expressed wishes. These boards presently consist of Dave Lowry Sensei (Japanese kobudo), Wayne Muromoto Sensei (iaido and jujutsu), Guy Power Sensei (iaido and batto), Stephen Fabian Sensei (jujutsu), Mike Donnelley Sensei (aikido), H. E. Davey Sensei (jujutsu), Nick Suino Sensei (iaido and judo), and Karl Scott Sensei (aikido and karate-do). We great sadness, Todd Sensei passed away in 1999. Cards, letters, and other expressions of sympathy will be forwarded to the family by the SMAA. Individuals who would like to help the Todd family deal with the cost of funeral expenses and other expenditures can do so by sending checks (made out to Mrs. Eve Todd) . Please give them to Smoger Sensei to forward on to Mrs. Todd. Todd Sensei has trained extensively in judo, karate and aikido. Todd Sensei 's diverse background in martial arts includes being the first foreign student of Wado Ryu under Hironari Otskua Sensei, in 1948, and one of the art's first Western black belts. Otsuka Sensei was former assistant instructor to Okinawan master and Shotokan founder Gichin Funokoshi Sensei. 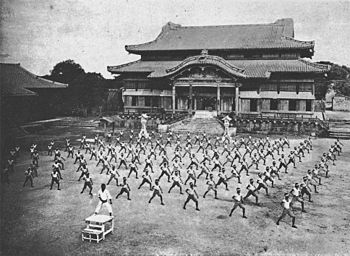 Otsuka Sensei later founded his own system called Wado Ryu. Todd Sensei later trained under Yoko Takahashi Sensei, a direct student of the creator of Shudokan karatedo, a system known for merging hard and soft techniques; Kanken Toyama; and Isao Ichikawa Sensei, also a high-ranking student of Toyama Sensei's and the founder of Doshinkan karatedo. Shortly after World War II, Toyama Sensei and other headmasters created the All Japan Karatedo Federation, which helped to unify the art and assisted with the development of the modern karatedo ranking system. Toyama Sensei was officially recognized by the Japanese Ministry of Education to grant any rank in the art of karate. Todd Sensei received his shibucho certificate issued No. 26 from Toyama Sensei . Number 25 had been issued to Eizo Shimabukuro O'Sensei. Toyama Sensei indicated to Todd Sensei that his document placed him in charge of his own branch of the AJKF and in charge of all ranking for karatedo in the US, and gave him authority to lead his own martial arts association. Following Toyama Sensei 's death, his son later approved Todd Sensei for the rank of hachidan, or eighth dan black belt. From judo to karate, Todd Sensei's impressive accomplishments in Japanese Budo did not end there. He was also introduced to Aikido by Kenji Tomiki Sensei, a high-level authority in Judo, as well as a direct student of Morihei Ueshiba Sensei, creator of Aikido. Later Todd Sensei became a student of Koichi Tohei Sensei. Tohei Sensei is the only person to have formally received a tenth dan directly from Ueshiba Sensei, and is the person responsible for bringing Aikido to America in the 1950's. Todd Sensei 's first and second dan certificates were personally signed and approved by Ueshiba Sensei. Todd Sensei taught Aikido in various areas throughout the US, and is regarded as one of the art's early pioneers. He later received the high rank of sixth-dan black belt from the Kokusai Budoin, making him one of the highest ranking non- Japanese Aikido instructors in the world. Todd Sensei teaches that balance is the most important quality in the martial arts. 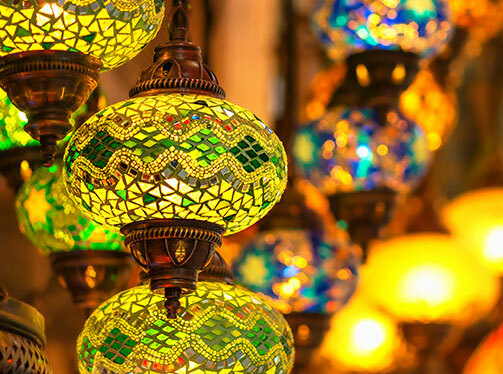 "Without balance, you cannot move properly. Without balance, you cannot have a strong stance, and without a strong stance as a foundation, you cannot throw effective kicks or punches. Balance is the most important thing for any martial artist." Even with all these accomplishments in judo, karate and aikido, Todd Sensei's training in Japanese Budo was still not complete. Todd Sensei stated, "We never stop learning in Budo until we decide that we have achieved a state of perfection. Budo is based on the laws of nature, and like nature, its study is infinite. I hope I can help the public to more deeply understand that Budo is not simply self-protection, but actually a means of cultivating the mind, body, and spirit. I am trying to accomplish this process of education through my activities in the Kokusai Budoin and the Shudokan Budo-Kai." Todd Sensei was Dr. Herbert Wong Sensei 's first karate instructor. Gary Hu Sensei and Karl Scott III Sensei were introduced to Todd Sensei and the martial arts he taught through Wong Sensei. Through Hu Sensei and Scott Sensei, Christensen Sensei and Smoger Sensei were introduced to Todd Sensei. Over the years, Todd Sensei has directly trained Kelley Sensei and promoted him to the rank of Sandan in Shudokan Karate. Todd Sensei has passed down to our Club the katas from Shudokan Karatedo and his great knowledge of Japanese Budo. 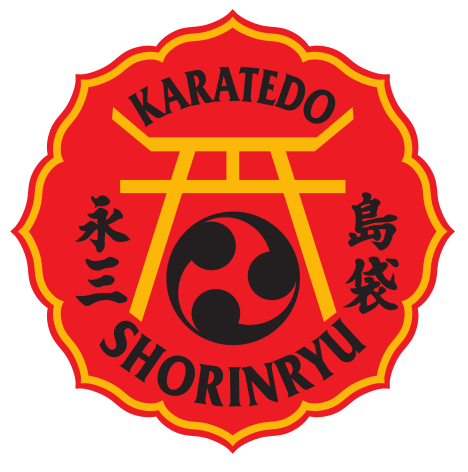 The Okinawan Karate Club of Atlanta is a traditional martial arts school, located in Marietta, GA (North Atlanta), that practices Okinawan Shōrin-ryū karatedō and Toei Jūjutsu as taught by Eizo Shimabukuro (Grandmaster) and Okinawan Shūdōkan karatedō as taught by the late Walter Todd (United States Shibucho for the late Kanken Tōyama). The dojo is directly affiliated with O'Sensei Shimabukuro of Okinawa. The club's intent is to create well balanced martial artists focusing on the development of students' minds, bodies and spirits. Traditional techniques and principles are taught through kata (forms), bunkai (practical application of forms), kumite (sparring), tuite (joint locks), and kobudō (weapons training). Additionally, there is an emphasis on self defense, endurance training, and conditioning.